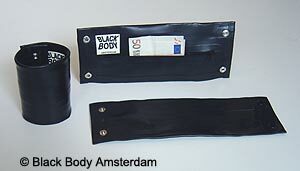 Rubber wristwallet with zipper. 9 cm. (3,5 inch) wide. Snap stud closing. Click on the picture to view details inside.